We build north woods tough! I recently saw an ad for a tiny house that said they build tiny houses for temperatures from 47 degrees to 147 degrees and the picture showed a cabin in snow storm. Snow at 47 degrees? Maybe they meant -47? Mixed Dry – A warm-dry and mixed-dry climate is defined as a region that receives less than 20 inches of annual precipitation with approximately 4,500 cooling degree days (50°F basis) or greater and less than approximately 6,300 cooling degree days (50°F basis) and less than approximately 5,400 heating degree days (65°F basis) and where the average monthly outdoor temperature drops below 45°F during the winter months. Hot Dry – A hot-dry climate is defined as region that receives less than 20 inches of annual precipitation with approximately 6,300 cooling degree days (50°F basis)or greater and where the monthly average outdoor temperature remains above 45°F throughout the year. Florida, Southern Texas, South Mississippi, South Alabama, South Georgia are some states that fit this zone. Mixed Humid – A mixed-humid and warm-humid climate is defined as a region that receives more than 20 inches of annual precipitation with approximately 4,500 cooling degree days (50°F basis) or greater and less than approximately 6,300 cooling degree days (50°F basis) and less than approximately 5,400 heating degree days (65°F basis) and where the average monthly outdoor temperature drops below 45°F during the winter months. Tennessee and Kentucky region and neighbor states fit this zone. Cold Climate Zone – A cold climate is defined as a region with approximately 5,400 heating degree days (65°F basis) or greater and less than approximately 9,000 heating degree days (65°F basis). From the New England states through the Midwest through the Rockies are in this zone, including the southern half of Minnesota. Very Cold – A very cold climate is defined as a region with approximately 9,000 heating degree days or greater (65°F basis) or greater and less than 12,600 heating degree days (65°F basis). Northern Minnesota, northern North Dakota, and the southern half of Canada are in this zone. Sub Arctic Zone – A subarctic and arctic climate is defined as a region with approximately 12,600 heating degree days (65°F basis) or greater. Each of these different zones requires different criteria in building envelopes as well as higher R Value assemblies. Insulation plays a critical value in tiny homes. We have heard from some people that I am already reducing my carbon foot print or energy consumption substantially, it does not matter. Does it? Fifty years ago, building a home with no insulation did not seem to matter, and yet 50 years later it really does. What will energy prices do in the future is anyone’s guess, and yet leading indicators would suggest using the technology now to create a personal environment and home that will meet your needs now and then. Housing is becoming high tech and why skimp on something that can enhance your living experience in the future. Anyhow, how about some winter cabins eye candy. We build our tiny house for our very cold zone as well as everyone else’s climate zone. The Snowflake tiny house, a custom welded steel frame tiny house. 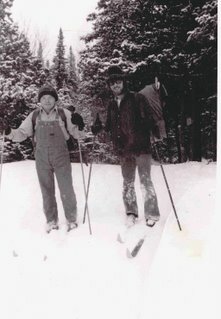 We all have a story, and this one is from a snow camping trip into the Boundary Waters of Minnesota. Some of us start as campers with tents, then graduate to pop up campers, and then to self contained RV’s and motor homes all the while dreaming dreams of having our very own cabin to get away from it all. A cabin can be defined as a small house or shelter to get away from it all, that may be located in a remote or isolated area. Then some start to realize that they can capture the magical and peaceful lifestyle enjoyed at the cabin and build or have built a tiny house that they can take wherever life takes them. For me, I enjoy a life of simplicity and the coziness of a small cabin or tiny house. And that takes me to books, stories, adventures, and experiences. Here is one story from my past. “It was a hot humid summer day as thoughts turned to winters brisk winds. Sitting idly around a table sipping iced tea, several members of my family thought of possibilities and methods to cool down. As a lark, it was suggested that a day of cross-country skiing would be enjoyable and cold. As talk turned to bravado, the webs were spun and before long we were planning an expedition into the Boundary Waters for a little cross-country skiing and snow camping in the following winter. January was to be the targeted month, and the third week as those were the days that it was at the coldest temperature of the winter As the day progressed into the evening we plotted, planned, made lists, and decided who was to take care of which tasks. Now, this was before I knew about personality traits along horoscope lines, and if I did, I would have been aware of potential issues. Lists and Pisceans do not mix well, and Pisceans have a tendency to loose a list as fast as they are given one. Pisceans are dreamers and visionaries. I am a Piscean. Several times thru the fall, phone calls were made, to remind us of the deal struck on that hot, humid, sweltering July day. The total group consisted of 6, and as the days became shorter, the temperatures dropped, the group became smaller. People were dropping out as fast as ice cubes had melted on that July day. I was even having second thoughts. The day of reckoning arrived, and the surviving three dreamers met up in Hudson, WS. We quickly double checked our lists, gathered up our gear, and headed north. The evening temps were hovering around 28, and it had just started snowing. As we miles ticked off, the snowfall became heavier, until at times the road became obscured. We hung our heads out the window to eye the side of the road, and no one was talking about turning back. We had struck a deal, and we were not going to be deterred from our goal. We laughed as we drove, and decided we needed coffee and lots of it. Around 2AM, we pulled into Duluth, MN and stopped for that much needed coffee. We were slightly behind schedule considering the slow going of the roads. We were headed for the Gunflint Trail out of Grand Marais, and our goal was to start cross-country skiing at the end of the trail to our campsite by early morning. We had a 5-6 hour ski trek to make before we hit the campsite. As we drove old Hwy 61 along the North Shore of Lake Superior, we could hear thru the snowfall the pounding of the waves on the rocks below us. 61 followed the lake, and at points was a shear drop to the lake without any shoulders. The only thing that separated us from the drop was a cable guardrail. Around 5AM we turned out of Grand Marais, heading west, and the snow was piling up, the snowflakes being as big as boxcars, and the pine bows were along the road were sagging heavily under the weight of the new snow. The picture was an awesome black and white image in the headlights. We often thought we were part of a picture as the trees slowly crept by. Just as the early twilight of the morning had brightened to the day, we arrived at the trails end and a cabin stacked high with snow. We talked for a while with the lone owner and then strapped on our skis and headed out. We snapped some pictures and left the camera in the truck for safety. The sound of the skis on the new fallen snow was the only sound that broke the silence. It was very much like a lovers whisper in ones ear in the middle of the night. After a couple hours of skiing along the lake, we heard the sounds of wolves in pursuit of some prey. Looking thru the pines in the direction of the howls, we saw a lone deer running ahead of 4 wolves, with 1 in the lead running down the middle of the lake. The sight held us spell bound as we witnessed the wild of nature and we were without the camera! After another couple of hours of skiing we found our campsite and set up camp, and as we unpacked our gear, we decided we were slightly hungry. We searched all of the backpacks and discovered that food had not made the lists! We had coffee, 2 giant chocolate bars, some nuts, some granola and of course, I had a book! We made our coffee and decided that we were okay. This was not planned as a long trek, just 48 hrs, and we could shorten it and head out the next day instead. We built a fire, melted snow, and told stories as the snow fell around us. Finally around 10 we decided to bank the fire and head to the tents. We could see the stars and the moonlight on the moonlight on the snow, the air biting at our cheeks, the frost icing up on my beard created a snapshot in my mind for years to come. Around 2AM, I woke up, and thinking it was because I was cold, decided to do some isometrics in the sleeping bag to warm myself up. Then I heard what had woken me up. The sound was like a high-pitched scream in the night, and very much like a woman’s scream of terror. Now, I was awake, and so were Frank and Oscar. After some intense discussion we concluded it was the northern Lynx on the prowl. In our search of New Ulm we found a place that was for sale and inquired about it. The building was for sale and it could be leased. After asking questions about utilities, we learned that the heat bill was over a $1000 a month through the winter. That heat cost made the New Ulm space more expensive that what we were looking at in Blaine. We made an offer on the lease asking for the owner to pay for 50% of the propane costs for the 1st winter and we would do a 2 year lease. He declined . So we decided to stay in the Blaine area for the foreseeable future. Then we had a visit from another shop owner that did welding and fabrication whom asked if we would be willing to switch spaces. He had 3000 sqft and we had 6000 sqft. The numbers were a wee bit more friendly, and after some thinking and discussion with family, I decided to make the switch. That meant tow shops that were working plus one that was closing needed to switch spaces. For me, that was an easy task as my work had not accumulated a lot of stuff….yet!! Our part of the move was easy. The fabricator has a lot of specialized equipment and a mezzanine to move. He said he had built the mezzanine so he could take it with him. This we had to see. And he did it. I am impressed!!! However, Pete was swamped with trying to finish up his back log of clients and others that heard he was closing and wanted that last minute car repair done by him. So we loaded our trailer and moved it to the new place and then moved the hOMe out of the shop to its new place. So, now it was up to sort things out, pack up what he wanted, and toss the rest. He tossed out a lot, and he still has a lot to sort and liquidate. In the meantime, he is using some of our space and will be having a fire sale over the next month..
We are just about finished with the hOMe bound for MA, and have the other custom hOMe started. And that is all we can fit in the shop until Pete moves his stuff out. In a week or so, we will have room to start the Prairie Rose for the workshop class we will be holding the end of October. And when Pete moves his stuff, we will have room for a 3rd tiny house. The start to finish of the move took 8 days, with the weekend included in that. Now we need to organize the shelves and shop so we can find stuff easily. If anyone wants us to build or start one in the next month or so, I would suggest that you book that slot. Otherwise, the next slot after that would be early spring of 2016. We install windows at Tiny Green Cabins using the following steps for all of our tiny houses. the Tyvek house wrap at the window rough opening top corner diagonally about 4″ upward and away from the window and tack back. Step 2; Cut the Dupont Flex Wrap 12″ to 16″ longer than the window sill. Peel off the paper backer centering the Flex Wrap in the opening and full width of the sill. Press into place across the bottom and up the sides of the window – minimum up each window side is 6″. Step 3; Peel the paper off the back of the flex wrap hanging outside the window and starting at each window corner, pull the corners outward and stretch while adhering it to the walls, then pull and press the rest of flex wrap into place. Step 6; Insert the window into the rough opening, center the window on the opening, and nail at one top corner of the window flange. Level the window and after leveling nail the other top window corner. Step 7; Plumb the window sides Tip: Square the window and check the reveal spaces where the window meets the window jamb. To square, using a tape measure, check the measurements diagonally from each corner to the opposite corner – they should be equal. Also check the window edges from other features of the wall, such as wall corners or fascias to make sure things are set correctly. On a tiny house, since other features are close to the window, this is a check that everything is spaced correctly. After this check nail the window in place and around the window perimeter, nailing through every other hole in the flange. Step 8; Install the corner flaps at each corner of the window. Step 9; Cut the butyl tape for each side of the window and across the window head. Each piece should be cut 8″ to 12″ longer than the window. Install each side, and then install the top piece of Butyl tape. Step 10; Do not install Butyl tape across the bottom window flange – EVER. This flange is left without butyl tape and caulk to allow water and moisture to escape in case it ever gets behind the window. This is why the flex wrap is used as a sill pan flashing. Step 11; Pull the Tyvek that was tacked out of the way, fold it down, and tack in place, cutting just short of the window head. Tape to the butyl tape and Tyvek together to seal them tight. Step 12; insulate the window jambs cavity to wall opening. We recommend Great Stuff as the expanding foam seals the cavity better than a stuffed fiberglass can. Plus the foam does not allow mold to grow if the window leaks.